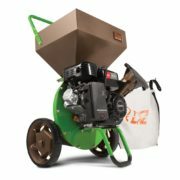 Best affordable wood chipper shredder buying guide for homeowners. Read reviews about the top wood chipper shredders on the market. 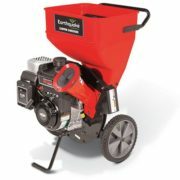 A wood chipper shredder will speed up your gardening tasks considerably, especially if you don’t have the luxury or the time to spent hours working in your back yard or your garden. Even if some people consider these mechanic devices as an alternative to traditional tools (rake, spade, shear, axe, saw), I truly believe the wood chipper shredder should be bought and used only in conjunction with the tools mentioned above. There are various types of wood chipper shredders that you can buy on the market and you should learn how to buy the one that’s suited for your needs. 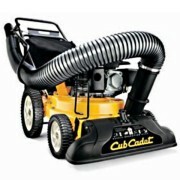 These gardening machines can be stored in your barn or in your garage and used at the right time. This is the first question you should ask yourself: do I have the power supply and enough electric cord to cover all the area I am going to clean? Again, there are advantages and disadvantages on both sides, so this decision should be based on your needs rather than on your budget. If the answer is “YES”, then you can look for advantages and disadvantages of electric shredders. If the answer to that question is “NO”, than you should steer your attention to a chipper shredder that’s powered by fuel, since it will give you additional mobility. Decide when large / heavy is to difficult to carry. 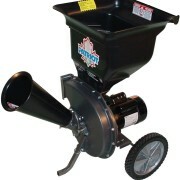 There are two types of wood chipper shredders: mobile and fixed. Working with these devices is not a walk in the park, so make sure that you can evaluate your physical condition and your needs before buying one. Make sure you buy a chipper shredder that’s not too heavy and not too large for you, since you will be using it for more than 10 minutes. If you feel that you are not in your top physical condition, you can buy such a machine that has wheels. Otherwise, you should pick one that’s handheld. It’s all about the power here. If you feel that you will be shredding leaves and small branches and nothing else, you should buy a wood chipper shredder that has less power. But if your back yard is packed with large debris and larger branches, make sure that the device you buy has enough power under that case so it won’t get choked at first use. This entry was posted in Gardening Advice and tagged gardening, shredders, wood chipper, wood shredder on October 21, 2016 by Wood Chipper Shredder.